I find myself in need of a number of birthday cards this weekend. First up is for my friend’s hubby’s 50th (which is tonight). I made a z-fold style card, which I think fits the challenges at The Male Room #91 and Little Red Wagon – Get (Inter) Active. #458. I used the Stampin Up set ‘Bubble Over’ and ‘Freestyle Stripes’ by The Ton. I matched the inks to the card stock in Stampin Up Gray Granite, Blueberry Bushel and Lemon Lime Twist. Second is a card for my mum, I got a bit snarky and want her to know that despite her cancer diagnosis with her attitude she’ll live to be an old woman! I was inspired by the current challenge over at Shopping Our Stash #366 , which was to use a silhouette on a card. I used a stamp set from Unity Stamps called ‘No Regrets’ which I stamped in basic black on some white card stock, mounted on a couple of pieces of misc. DSP added the sentiment and the card was done. This lady is just as sassy as my mum. Thirdly is a card for my longest known friend; we meet in kindergarten and are still friends some 48 years later! (does that give our age away?) I thought the challenge at AAA Cards #121 – Friendship was a pretty good one to inspire my card theme and the Global Design Project #150 sketch inspired my layout. I used a stamp set I got with a crafting magazine by Debbi Moore Designs called ‘Hello Gorgeous’. I stamped and coloured the perfume bottles with my Stampin Blends in Mint Macaron, Poppy Parade and Smoky Slate. I added a bit of misc. DSP for some background effect and the card was done. Well, that’s it for today; thanks for looking and have a great day. Hello there, it’s time for another Watercooler Wednesday Challenge. This week I’m the host and my challenge is All About Occasions. I chose Father’s Day for my occasion, as in the blink of an eye it will be September and Father’s Day here in Australia. I decided to go with a One Layer Card and did a bit of masking with my main image. I used a stamp set from Clear Impressions called ‘For the Boys’ which has some great images for creating masculine cards and it made this card a breeze to make. I stamped the tool box in Momento Black ink and coloured it with my Stampin Blends. 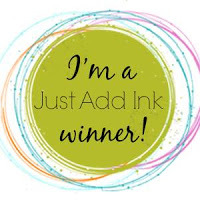 I then masked the image off and stamped a variety of the sentiments from the same set in SU Blueberry Bushel ink; removed the mask and the card was done! I think my hubby will appreciate this card when he receives it. Come join in the fun and make an occasion card of your choice. Check out the projects that the artists at Watercooler Wednesday Challenges have created then take the challenge and link your creation to the challenge post. We’d love to have you join us. You have until Tuesday, August 14th at 10:00 Melbourne Time to link up your project. Yep, I’m another year older today! So what’s a gal to do on her birthday? Craft of course! My first card today is for the Less is More challenge to use pets on a card. My card emulates the look on my cat Oscar’s face this morning, where he was like ‘what? it’s not all about me today?’ He’s a funny ginger boy who thinks the household revolves around him – but not today buddy boy! I stamped an image from Katzelkraft and water coloured him in to look like Oscar, I then created my sentiments on my PC and used speech bubble dies to highlight them. I kept it very CAS on a black card base and the card was done. Next up is a card for the CAS Christmas challenge. I love challenges that inspire me to add to my Christmas card stash – I think I now have about 20 cards towards my 100 requirement. I used a stamp set from Altenew called ‘Sketched evergreen” which I stamped in Catherine Pooler inks in Melon Ice, Garden Party and Lime Rickey. I cut a thinner panel with the tree on it, slightly shaping my panel around the tree edge and mounted it on a bit of gold cardstock. I love this stamp set and will be making more cards for my stash with it. Well that’s it for today, I’m now off to watch the Melbourne Vixens netball team with Miss K.